Heard good things about fvdi abrites commander J2534 compatibility (real thing, don’t know about clones) so it shouldn’t be a big deal. Recently i have tried to use BOSCH KTS560 as passthru and it works perfectly okay. Old thread – but do not run the SetPassThruDAS.exe, as it was written for DAS/Xentry for Windows XP, and not Openshell or star diagnose Xentry Passthru. All you need to do is install a fresh OS (Windows 7 Enterprise x86 or x64 SP1) ideally on a physical laptop, connect the AVDI device to the USB port and run the SetupInterface_yourserialnumber_PASSTHRU_xxxxxxx.exe and Next through the setup process. If you have a current version of the Passthru software, you will see a grayed out option for installing drivers for DAS that you cannot select, but do not be concerned about that. It will detect the AVDI, and install the appropriate J2534 dll files in the Windows\System32 directory. 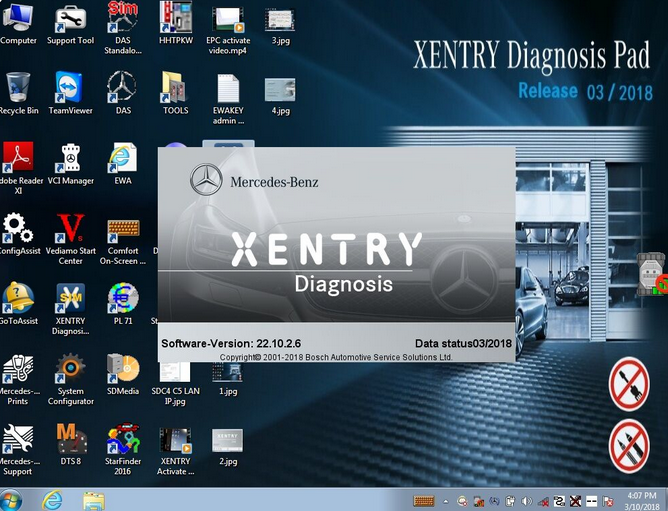 Then continue installing your Passthru software provided on the Blu-ray from Daimler. It will take a while to install, and once it verifies your hardware ID and installs your StartKey, launch Xentry Passthru from the icon it creates, and it will prompt you first thing as to what interface you want to use. You will see Abritus72 AVDI PT (your serial number here) in the drop down box. Select that device, and that is all their is to it. Xentry should automatically communicate with the vehicle.